Once when the berries were red on the holly-trees and the Christmas geese were fattening in the pen, a certain Squire of the North Country bent his mind to hospitable plans. "The Christmas pie," quoth he, "will taste the better if its plums are shared with guests. 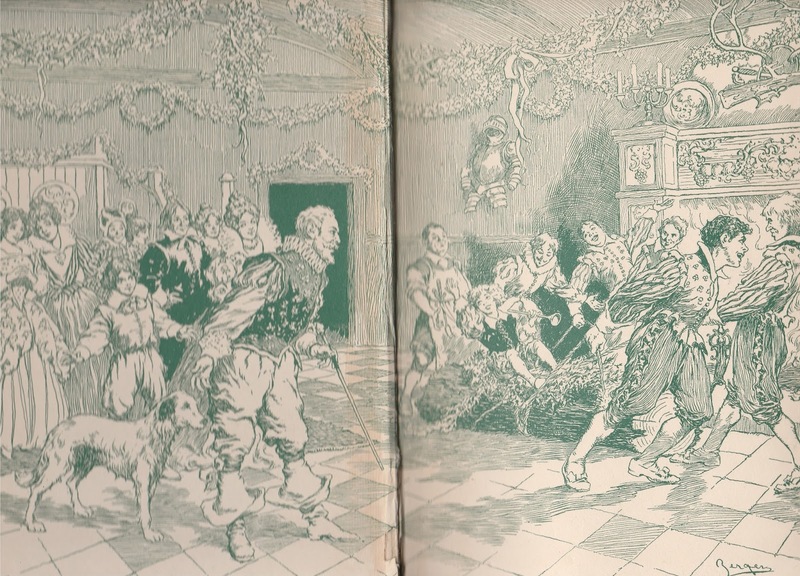 A full house, a heaping board, and a roaring fire at Christmas-tide, say I; and a long life to Father Christmas!" 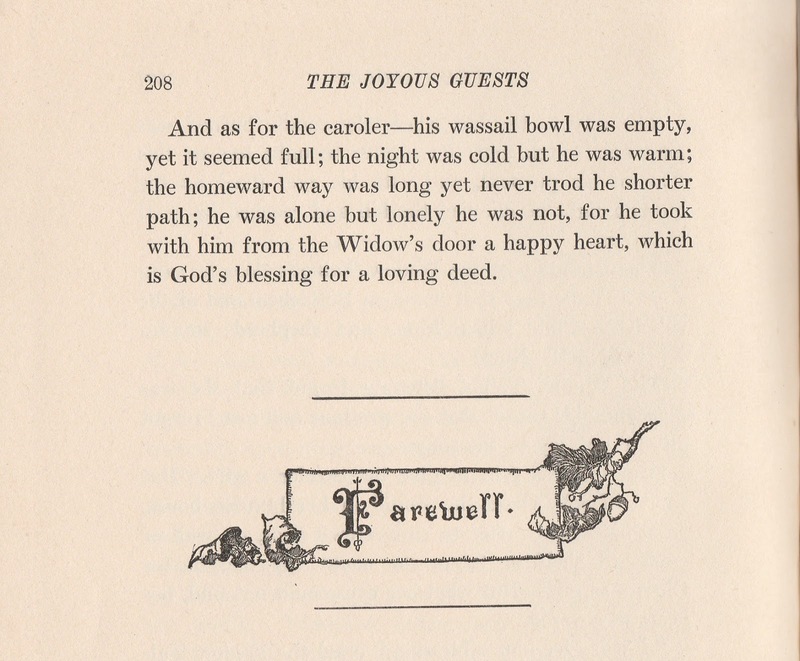 So he bade his Lady write by post ("and let the post be quick," said he) to summon friends from far and near to keep high holiday with him and his. 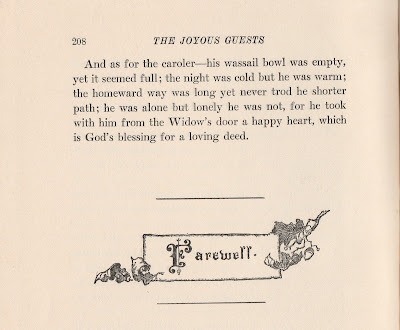 Thus it befell that when the Christmas time had come a goodly company of Joyous Guests gathered around the Squire's hearth . 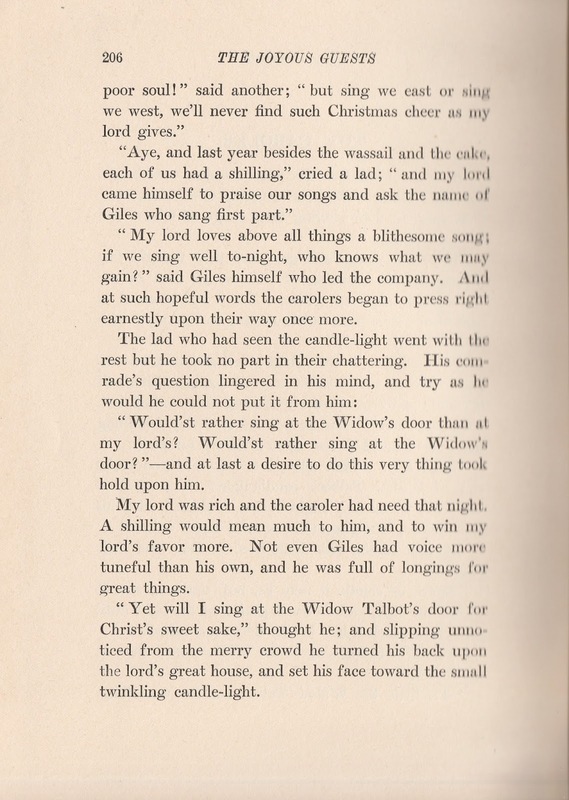 . .
And for twelve merry nights with songs and tales and games the Christmas festival was kept. 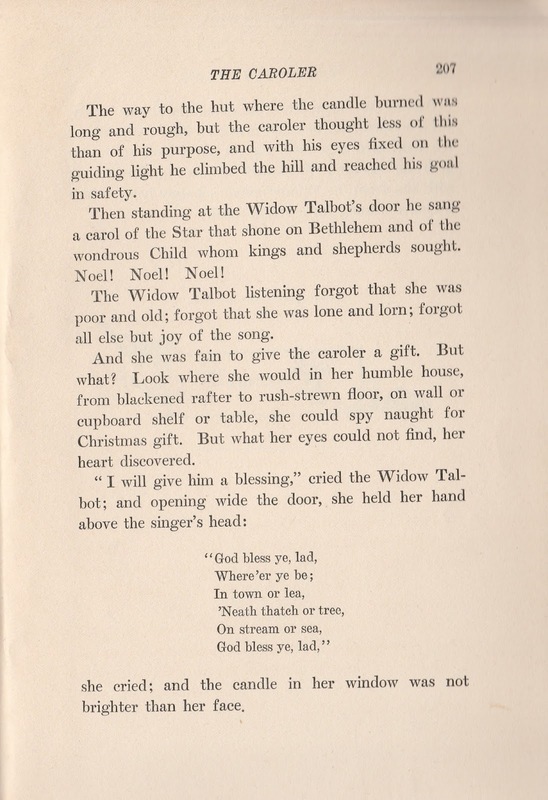 After that there's a section for each of the Christmastides twelve nights, complete with those "songs and tales and games." What a great way to celebrate the season! Even if you can't have a "full house, a heaping board, and a roaring fire", it's wonderful to step back into an era where it was possible. 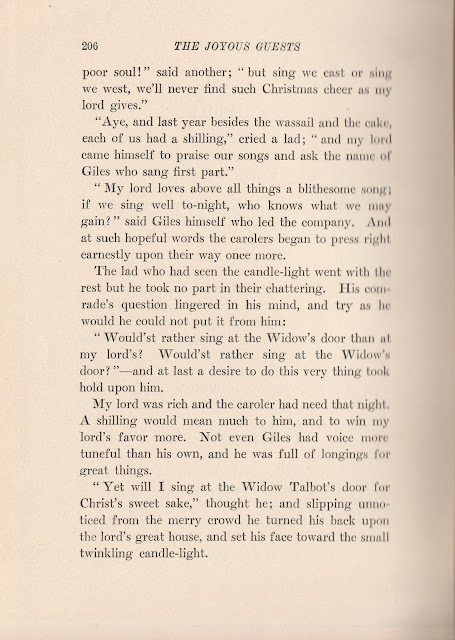 This story is from the final Twelfth Night, a date made famous by Shakespeare, but not usually celebrated in the U.S. It's other name is Candlemas. I included a link for those curious about it, but when February 2 rolls around, know it was actually an ancient festival marking the midpoint in winter! What a beautiful hopeful time. Today's story also brings hope and maybe why it was the final story. It tells of music always possible, even without instruments . . . the voice. For Christmas we often sing carols a capella. 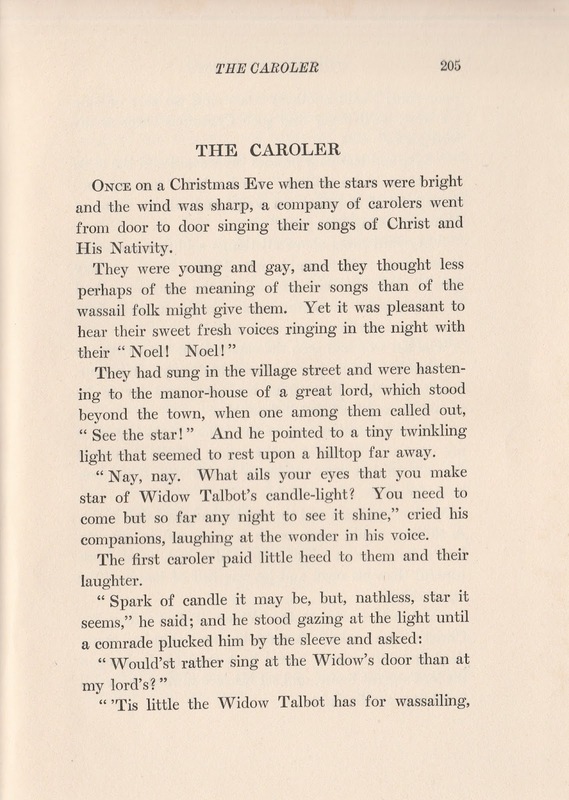 I love caroling, complete with memories dating back to childhood, so I give you today's story told to those Joyous Guests. 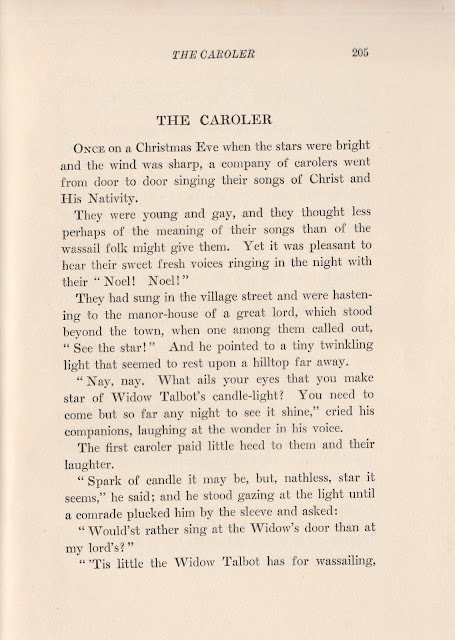 Carols should be for Christmas day and before, so it seems better to tell this now, rather than in February. Of course I always enjoy sharing a bit beyond the story if I can find it and today I can, so look for it after the story, also a bit of a storytelling suggestion. I grew up in St. Louis, Missouri and especially in University City's "Loop" area for my father's store. My second half of elementary school was also there, complete with caroling in a very Jewish neighborhood with friends having menorahs in 2 and 3 story flats. Earlier this month in an Advent program I had an opportunity to share a bit of my own remembrances (offiffiffic'ally that's called oral history and a darned good thing to share some of those memories at this time). Today's story would pair well with telling your own memories. For those with menorahs and seeking Hanukkah stories, there's an online resource from fellow storyteller, Rachmiel Tobeson. Here's one story for each night with his "The Chanukah Gift of Stories." This is typical of his generosity I've grown to appreciate on Professional Storyteller, the worldwide network of storytellers where I'm the assistant administrator. For all storytellers looking to find a way to fight prejudice at a time when peace is wanted more than ever, you also couldn't do better than The Christmas Menorahs; How a Town Fought Hate. Don't let the picture book format stop you as Janice Cohn's research about what happened in Billings, Montana in 1993 could easily have been a magazine article. For a look behind the scenes and further resources from Cohn go to this blog article, "Christmas Menorahs: The Power of Courage and Goodness." Thinking back to my St. Louis roots, I knew the city's importance to the Kindergarten movement. The idea of Kindergarten started in the late 18th century in Germany, so it was at first conducted in German when it started in the U.S. by the mid-19th century. 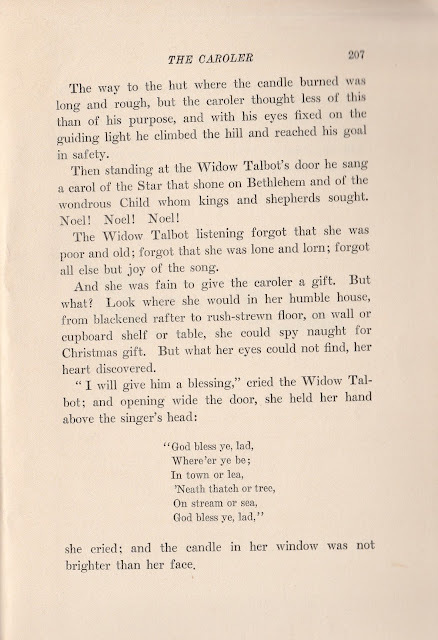 St. Louis had a large German population and in 1873 had the first U.S. publicly funded Kindergarten with Susan Blow translating the German games and songs of Friedrich Frobel. He was a founder of the idea and named the movement, "Kindergarten." Why mention all this? Because today's authors were each active in the early days of U.S. kindergartens. 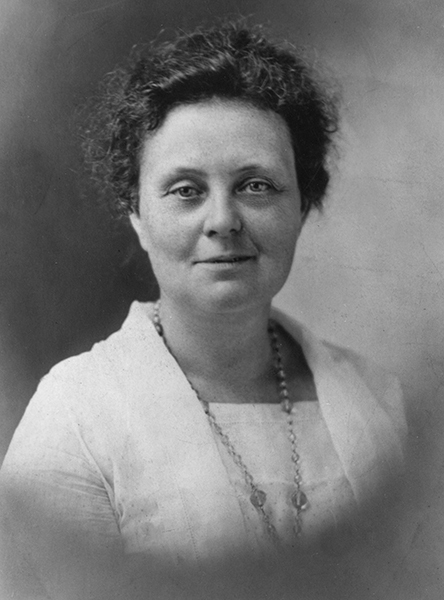 Maud Lindsay followed St. Louis and broke with her own Alabama social class by founding the first free kindergarten in the state -- it's still in existence. The Lindsay link is a page on the Alabama Women's Hall of Fame, but the online Encyclopedia of Alabama article shows what a step away from her established position it was for the daughter of a college professor and later state governor. Lindsay's childhood friendship with Helen Keller is mentioned in each case and I wonder if that's how she met Emilie Poulsson? I've known Poulsson's fingerplays a long time and wasn't surprised to find her activity in early childhood, but had no idea she was blind. I recommend any readers with young children, or working with them, look up both Poulsson's fingerplay work and Lindsay's stories. The authors may come from another age, but they understood the interests and abilities of young children. Today's story shows this work with preschoolers was not the limit of their ability. 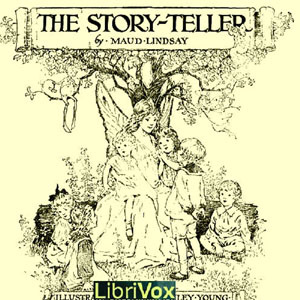 LibriVox recognized this in their production of a dozen stories under the title of The Story-Teller, yet another book of Lindsay's, but not mentioned in the two Alabama articles. 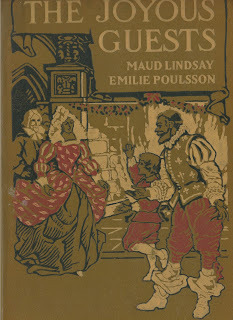 The bibliographies for both Poulsson and Lindsay have omissions, for example, Joyous Guests mentions them working together on an earlier book, Joyous Travelers. 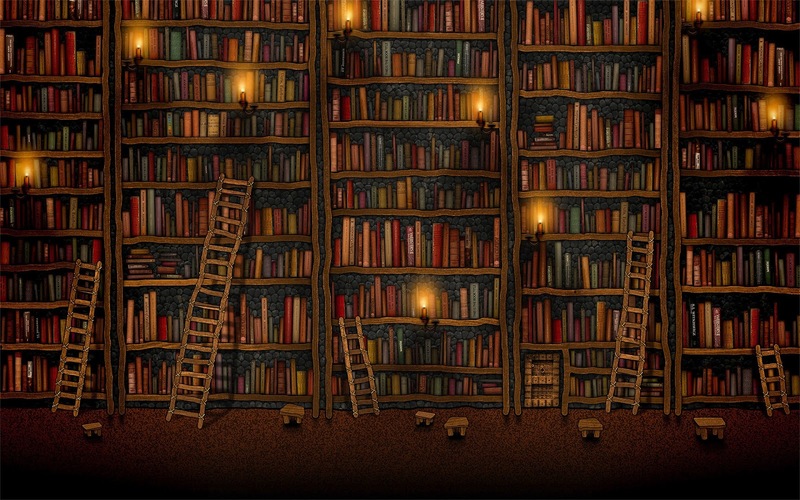 Are you a story teller? Almost all of us are, you know. Well, these 12 stories were written by Maud Lindsay to be told by someone who can weave the magic thread of speech into a performance that will hold the children spellbound. And we don't need to be perfect, just willing to tell a story; that is really all children ask, someone willing to tell a story. 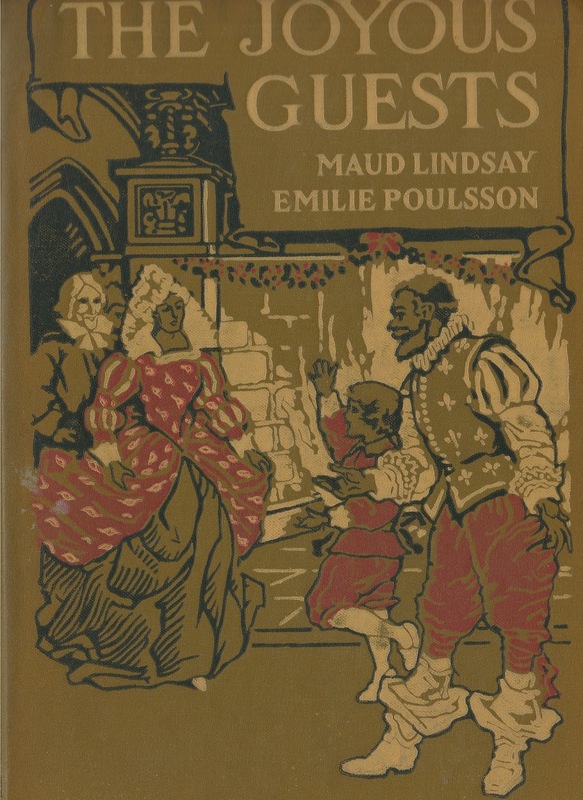 Find a few more in print by going to Project Gutenberg for Maud Lindsay and Emilie Poulsson, although even then there is more they wrote that doesn't appear there. I would recommend inter-library loans if you want to find more. The merriest of Christmases to you or a very happy Hanukkah! Out with 2016 and in with 2017!